Having Fun With Lego Bricks! A few months ago, I re-discovered the joy of playing with Lego bricks and the fun of building sets. Things have changed quite a bit since the 1980s and it seems like the Danish firm and its iconic building system are fostering a golden age of creativity for brick lovers everywhere. 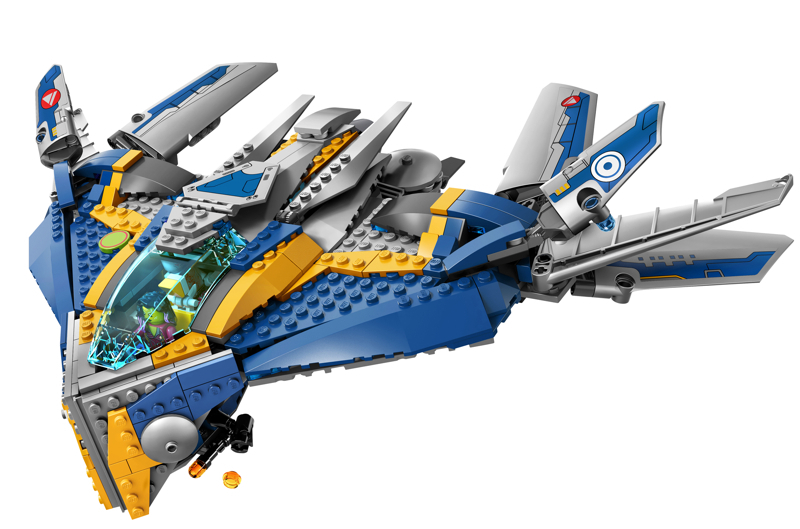 This is the set that can be credited for rekindling my love for Lego bricks. Straight out from the Lego Movie, this spaceship is straight out of the imagination of Benny, everyone’s favorite 70s/80s cosmonaut. Like many people who grew up in that era, my brother and I had a bunch of space-themed sets and the blue/grey/yellow color scheme is something dear to our heart as it brings back the memories of waking up on Christmas day, unpacking presents, and spending most of the day building it together and imagining what adventures lay ahead for our mini figures. This is probably the biggest set I own and this dollhouse style building is the base I always wished I had growing up for my mini figures. 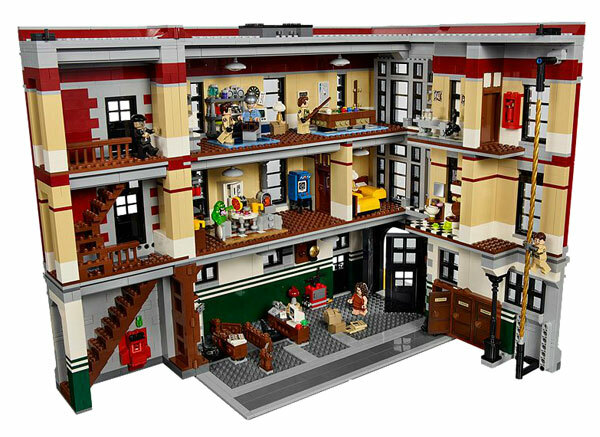 Indeed, this is the iconic firehouse from the original Ghostbusters movie but under my supervision the spacious interior has been modified to accommodate the needs of the many Lego Dimensions figures I accumulated. It’s a marvelous use of space and there are plenty of spots to pose a ton of mini figures: the bottom is pretty open and could fit Ecto-1 which is sold separately and the stairs are perfect for displaying your favorite mini figures. I decided to remodeled the ground floor and use one of the sets on this list to furnish it. 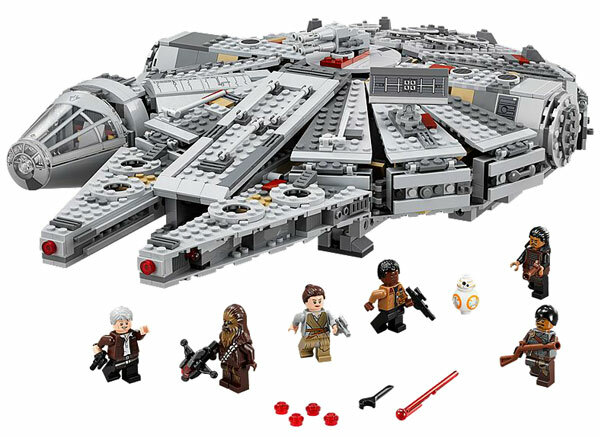 It’s hard to talk about Lego nowadays without talking about StarWars; and it’s hard to talk about StarWars without talking about its most iconic spaceship, the Millenium Falcon. So yeah the infamous Han Solo-led piece of junk who made the Kessel Run in less than 12 parsecs is among the fleet of ships, I’ve had the pleasure to build. This is the Force Awakens version and it’s one of the few sets which comes with an older Han Solo. The build is not quite repetitive as the pizza-shaped top is suggesting; there’s also plenty of play space inside on of it. There is a Simpsons’ House Lego set and it’s a pretty good one; however, there are no other set that portray a convenience store with so many details. This is the main reason why I completely flashed on the Kwik-E-Mart which is a great addition to anyone’s city of bricks. The inside of it is jam packed with everything seen on the show from shelves of products past their expiry dates, magazine rack, video game arcades, and even the Squishee machine. This is the set I didn’t know I wanted until I built it: I came across the Guardians of the Galaxy set on sale and purchased it as it had a cool looking spaceship and quite a few mini figures but I didn’t realize how much the Milano vessel was true to Chris Foss’ original vision (you might not know him but you’ve seen his iconic sci-fi illustrations). 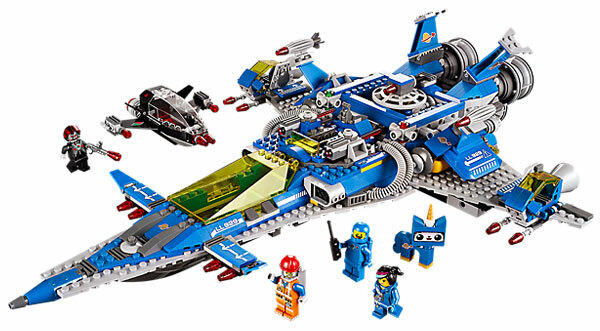 This set quickly became one of my favorites as it has a quite interesting construction and the spaceship itself offers ample room to accommodate the entire crew. 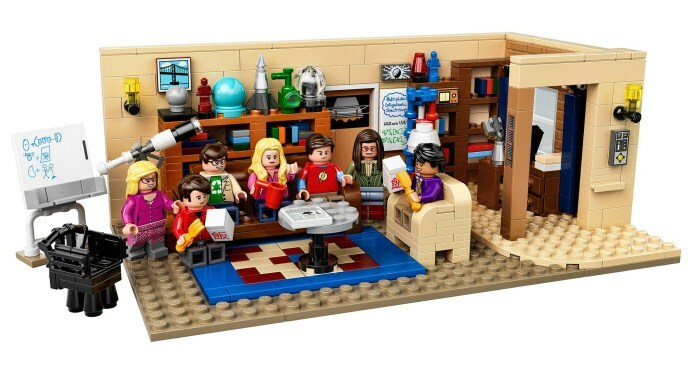 As much as I dislike the show it’s based on, I have to admit that this Lego Idea set is really great. It’s affordable; comes with a very varied assortment of mini figures, and an impressive number of quite unique printed pieces from the simple and useful Chinese styrofoam takeout boxes to the very geeky torsos. The main reason why I got this set is to transform it into a MOC (My Own Creation) based on the show Community.